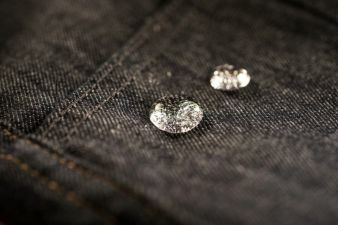 Water repellent finishing technologies from Schoeller are now being used more often in denim applications, thereby providing a new mix of fashion and function. 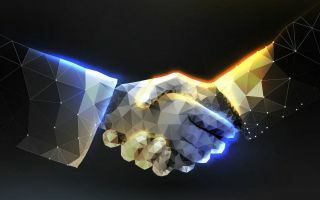 As the lines between sports and fashion continue to blur, textile technologies that deliver performance properties are becoming common in lifestyle and urban products. In particular, denim fabrics are becoming more functional through treatments that repel water and mud so that consumers have the opportunity to wear fashionable denim jeans in any weather conditions or while participating in most day-to-day activities. As a result, Schoeller Technologies durable water repellent textile technology, Ecorepel, is gaining attention. For example, Levi`s is the first brand in the US to use Ecorepel finishing technology. 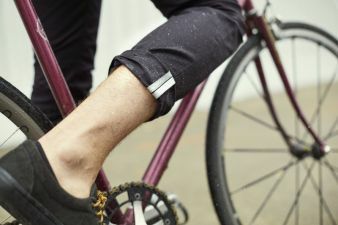 For its Commuter Collection, which was built with the urban cyclist in mind, Levi`s chose the ecological finish for its excellent water and dirt repelling function. Ecorepel biomimics the protective function found on the feathers of waterfowl. 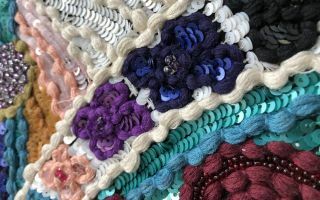 The environmentally sound textile finish is based on paraffin that is in honeycomb-like chains that wrap around the fibers. This reduces the surface tension of the textile so that water and mud simply run off of the textile. Ecorepel is completely free from fluorocarbons and is biodegradable*. The technology is wash and abrasion resistant and does not affect the hand or the breathability of the fabric. The Italian denim brand Spididenim offers motorsport lifestyle clothing featuring NanoSphere, another durable water-repellent (DWR) finish from Schoeller. NanoSphere has also been successfully used in denims by the Dutch brand Vingino, well-known for making trendy children`s fashion. The bluesign-approved NanoSphere technology provides a heavy-duty water, oil and dirt repellent textile finish based on a future-oriented nanotechnology free* from PFOS and PFOA. “Urban lifestyle and textile function – these two terms no longer have to be used independently. 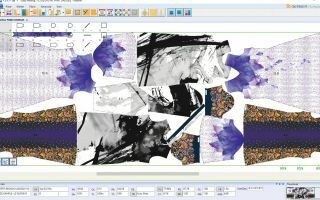 Our textile technologies are universally applicable, which allows us to develop an out-of-the-box look and to develop new ideas and combinations in the area of textile finishing,” says Hans U. Kohn, COO Schoeller Technologies. *Biodegradable according to OECD 302B 80-100 %; free from PFOS and PFOA below the detection limit.